We require a £50 refundable deposit on booking to secure dates. The remaining balance is due 6 weeks prior to your arrival . 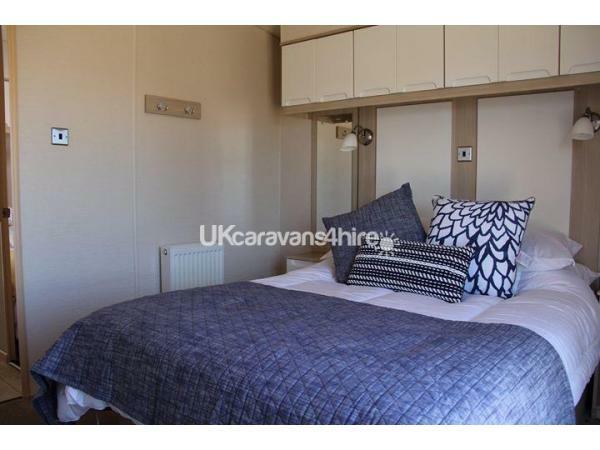 We pride ourselves in providing a immaculate presentation and cleanliness and therefore ask for a refundable deposit to be used against breakages and damage, which will be refunded on departure providing the caravan is left in a satisfactory manner. 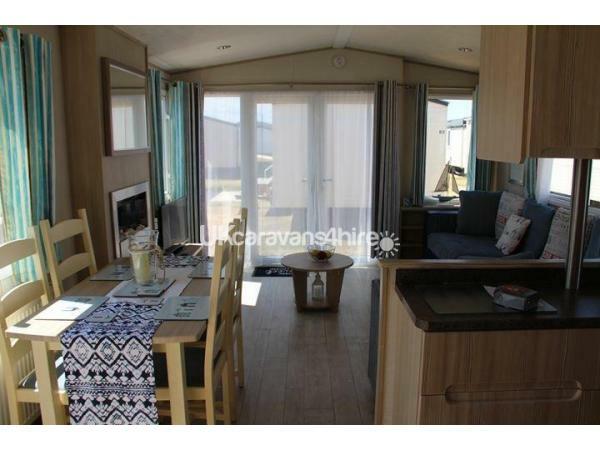 The Beachcomber is a beautiful Gold Standard 2 bed (1 ensuite ) 6 berth caravan which has Central Heating and double glazing. 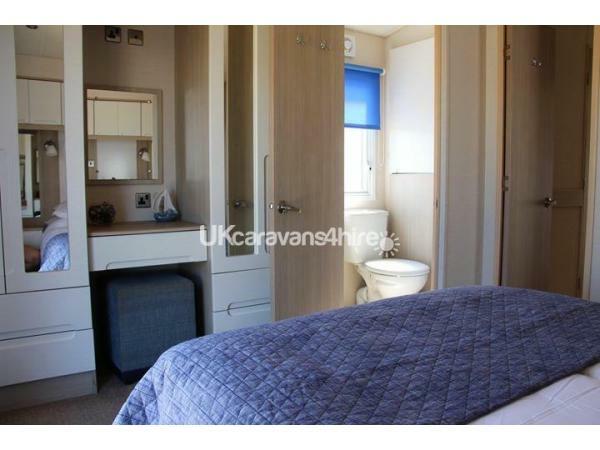 It comes fully equipped with TV, DVD player, toaster, kettle, microwave and fridge freezer. 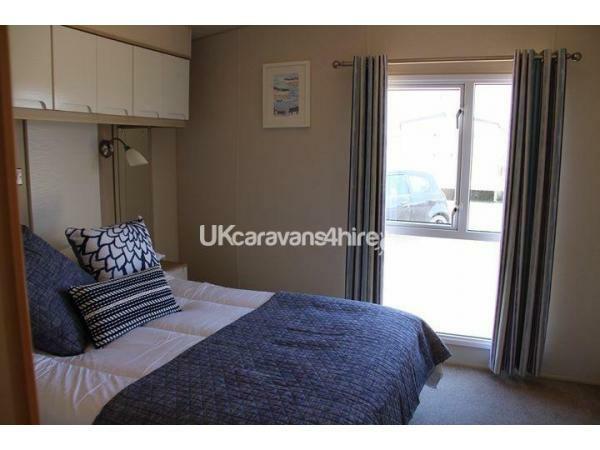 Our van provides accommodation for up to 6 people. 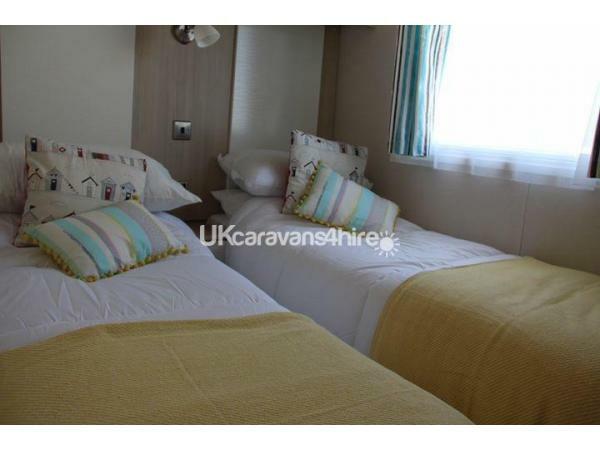 we pride ourselves on the caravan being well maintained and immaculately presented to all of our holiday makers. 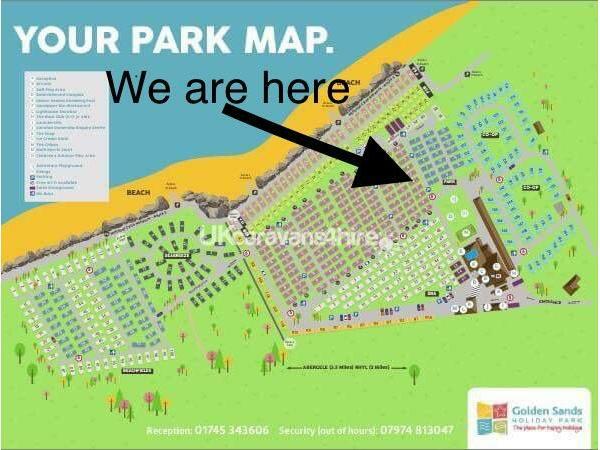 Parking is available directly outside the caravan making loading and unloading nice and easy. 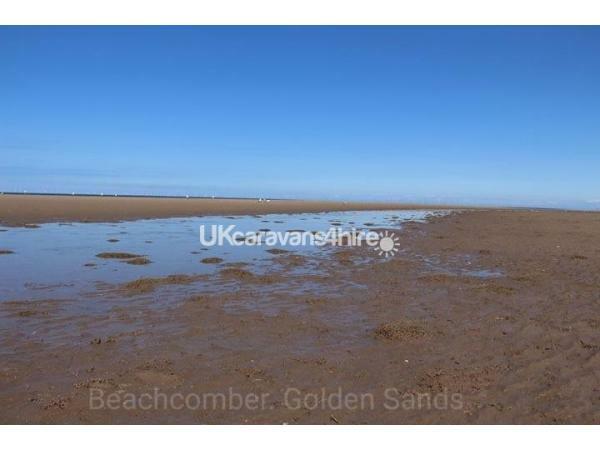 We are in a Prime Location - 1 minute to the Club House & Amenities, less than a 2 minute walk and you can find yourself directly on the stunning beach. 5 minutes on foot along the coastal path and you will stumble across Knightly’s Fairground. 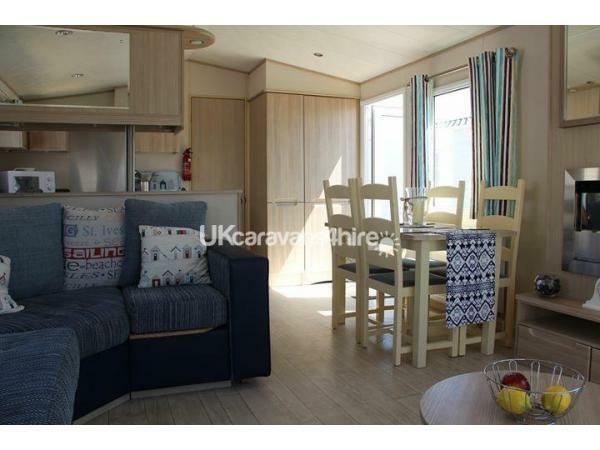 In order to book our caravan we require a £50 refundable deposit. 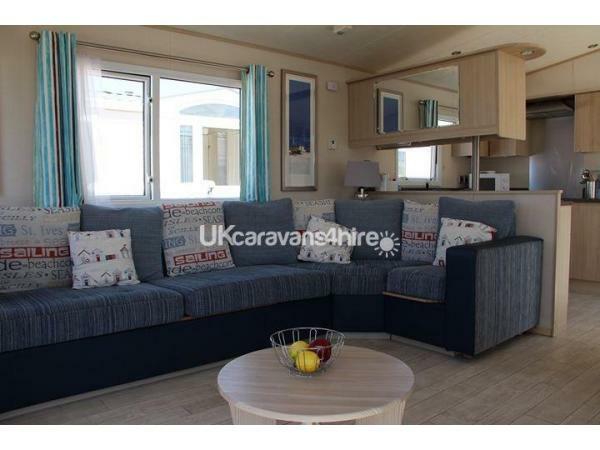 The deposit is held to secure your dates but also against damage and breakages, it is returned to you on departure providing the caravan is left clean and in good repair. We are able to offer a meet and great service upon arrival and departure. Travel cot and high chair can be provided. The cost of your holiday is due 6 weeks prior to your stay. 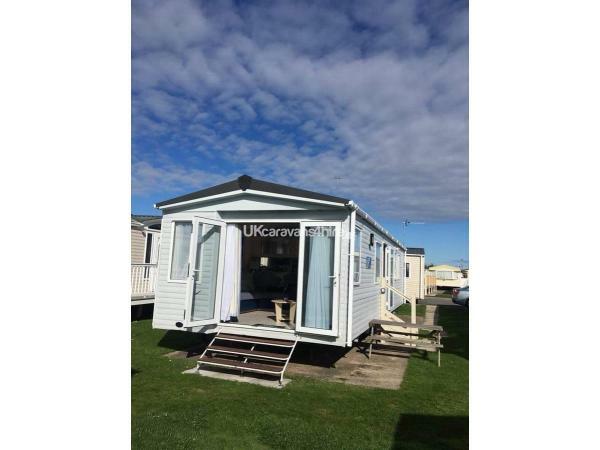 We prefer to thoroughly clean our caravan ourselves, to enable us sufficient time to do this check in is available from 1pm and check out 10am. 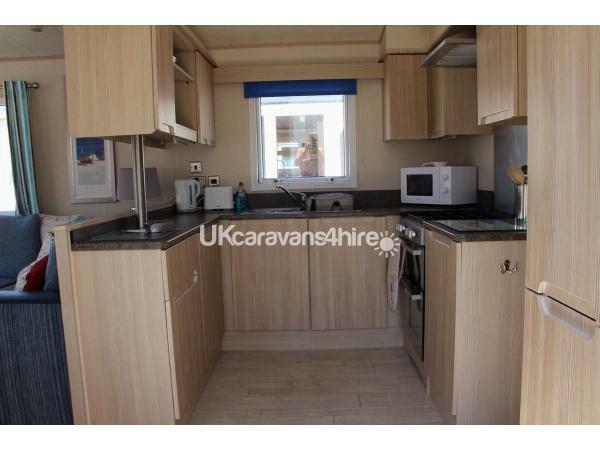 Sorry this caravan is non smoking, And no pets are allowed on site. Fun pool sessions are held for holiday makers that have purchased on-site passes. The entertainment team provide a extensive range of activities and shows for all ages, a weekly timetable is available from reception. The recently renovated bar/restaurant has a family friendly at,sphere with a number of screens showing sports and music channels. All main sports events are shown on the big screen and multi screens.